A professional single-component low-pressure polyurethane fitting foam with a wide range of applications. Distinguished by its short drying time, enabling quick processing. Cured by the humidity in the air and of the substrate to which it has been applied. Available either in gun spray or hose spray versions. Single-component low-pressure polyurethane fitting foam. Its regular microcellular structure ensures good thermal and acoustic insulation. 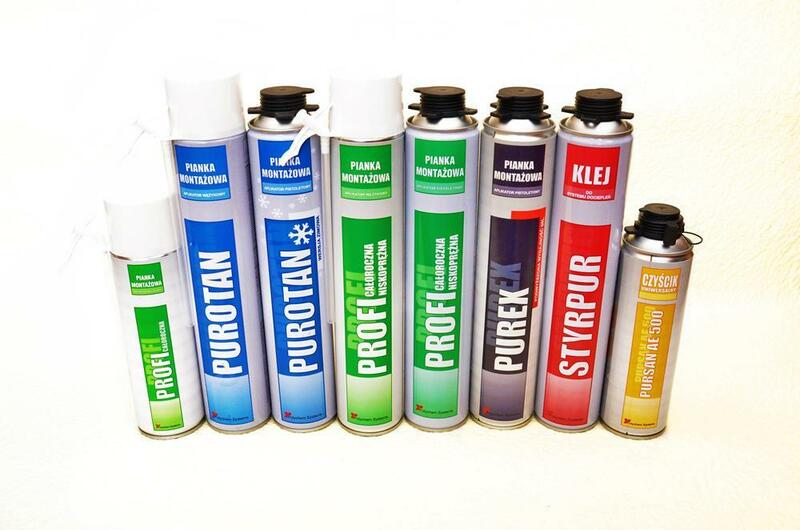 Characterised by its excellent adherence to horizontal and vertical surfaces. Cured by the humidity in the air and of the substrate to which it has been applied. insulation of elements for water-sewage and central heating systems, filling cable and pipe grommets, filling gaps, and replenishing damaged thermal insulation. Single-component polyurethane fitting foam of increased efficiency. Distinguished by its increased expansion, high efficiency, low water absorptiveness, compact uniform microcellular structure and high dimensional stability, as well as excellent adherence to popular construction materials.